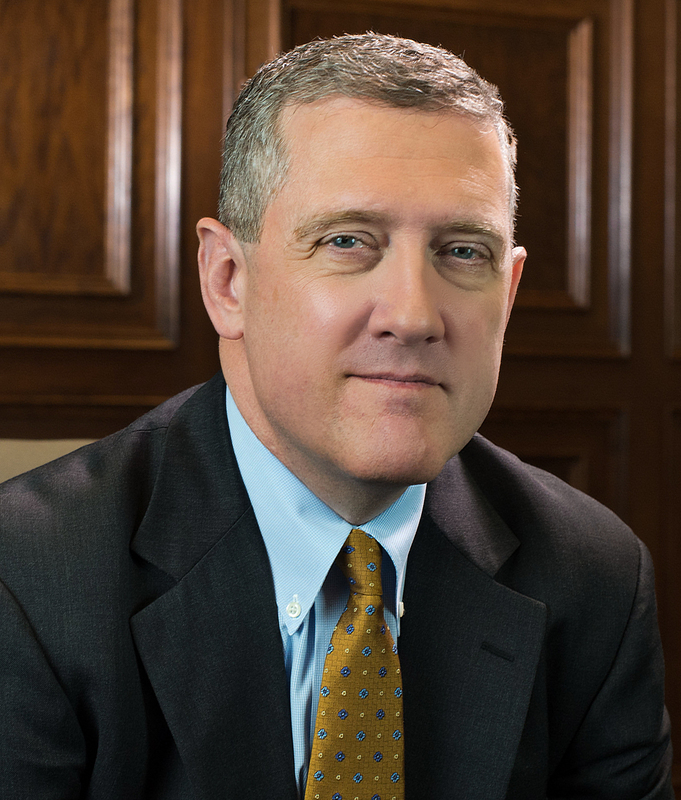 James Bullard, president and CEO of the Federal Reserve Bank of St. Louis, will speak about the U.S. Economy and Monetary Policy during CFA Society Chicago's Distinguished Speaker Series Breakfast on September 12. *Registering for the breakfast does not register you for the webcast. To register for the webcast please click here. James “Jim” Bullard is the president and CEO of the Federal Reserve Bank of St. Louis. In that role, he is a participant on the Federal Reserve’s Federal Open Market Committee (FOMC), which meets regularly to set the direction of U.S. monetary policy. He also oversees the Federal Reserve’s Eighth District, including activities at the St. Louis headquarters and its branches in Little Rock, Ark., Louisville, Ky., and Memphis, Tenn. In 2016, Bullard announced a new approach for the St. Louis Fed’s near-term U.S. macroeconomic and monetary policy projections. The new approach is based on the idea that the economy may experience one of several possible persistent regimes, which involve a combination of recession or no recession, high or low productivity growth, and high or low real returns on government debt. While switches between regimes are possible, they are difficult to forecast. This contrasts with the more traditional approach to monetary policy projections, which assumes that the economy will converge to one single, long-run steady state. Earlier in his tenure, Bullard warned about the possibility of a Japanese-style deflation in the U.S. His paper on this topic, published in 2010, helped move the FOMC’s thinking toward a second round of quantitative easing. He has argued strongly that the timing of monetary policy decisions, including interest rate policy or the pace of asset purchases, should be driven by incoming data on the state of the economy as opposed to the calendar. During the financial crisis, Bullard also advocated for establishing an explicit inflation target, which the FOMC has since adopted. And he has argued that the Committee should defend the target when inflation is below as well as above it. In 2008, Bullard was an early voice on the potential consequences of zero-interest-rate policy. He argued that the Fed may need to turn to quantitative measures of monetary policy in order to avoid deflation. Bullard makes public outreach and dialogue a priority to help build a more transparent and accessible Fed. He regularly engages with many audiences—including academics, policymakers, business and labor organizations, charities, students and media, among other public groups—to discuss monetary policy and the U.S. economy and to help further the regional Reserve banks’ role of being the voice of Main Street. Bullard is active in the community. He serves on the board of trustees of the United Way U.S.A. and the board of directors of the St. Louis Regional Chamber. In addition, he is a member of the Greater St. Louis Financial Forum and the St. Cloud State University School of Public Affairs advisory council. He is co-editor of the Journal of Economic Dynamics and Control, and a member of the Central Bank Research Association’s senior council. He is an honorary professor of economics at Washington University in St. Louis, where he also sits on the advisory council of the economics department as well as several advisory boards. The St. Louis Post-Dispatch named him the Top Workplace Leader among the region’s large employers as part of its 2018 Top Workplace Awards. A native of Forest Lake, Minn., Bullard received his doctorate in economics from Indiana University in Bloomington. He holds Bachelor of Science degrees in economics and in quantitative methods and information systems from St. Cloud State University in St. Cloud, Minn. Regular, Candidate, and Affiliate Members may apply function tickets as payment for Non-member or Student Member. Credit card required to guarantee ALL reservations except for reservations using Function Tickets. Day-of-event registrations accepted on-site only if applicable and space available. There is a $5 surcharge for walk-ins. Visa, MasterCard, American Express, Discover and Diners Club are accepted. Cancellations accepted until 5:00 pm, August 31.